Wimbledon SW19 is probably the most famous district of London and there is barely a person who hasn’t heard its name. The area is located in the southwest parts of the city and it is part of the borough of Merton. 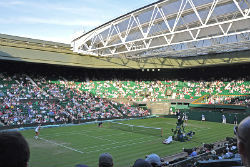 Now, as for the part that makes Wimbledon so famous – it is definitely the tennis – the The Championships, Wimbledon. Every year the best tennis players from all over the world come to the place in order to compete for one of the most valued trophies in the tennis world. But that’s not all in terms of sports when it comes to Wimbledon. There is also a local football club, which is not that famous, but it still has lots of fans. Other things that might concern you are the transport and development of the area and both of them are at really high level.